As an online coach, my goal is to provide an experience that is even better than working with a trainer in-person. I prefer online coaching, because it gives my clients the flexibility to complete their workouts at the best time for them (vs the time I am available). It also allows me to work with athletes around the world! 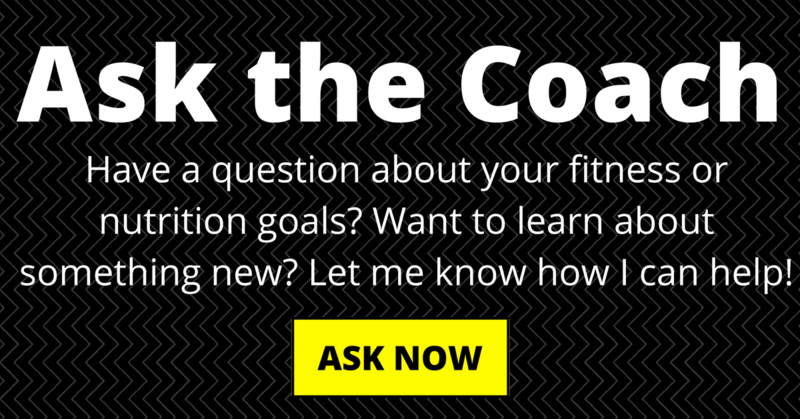 With online coaching, the tools I use to work with my clients are even more important. 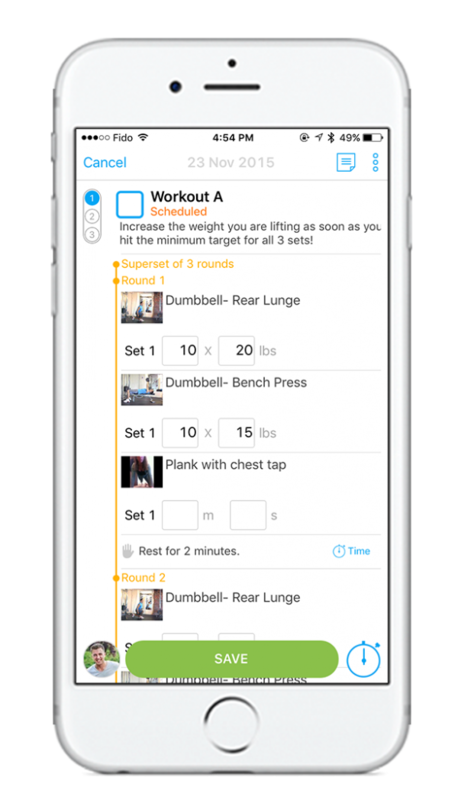 When I selected a platform to work with my personal training clients, I wanted a solution that made it simple to follow the workout & easy to track weights for each exercise. I found Trainerize after researching the features and user reviews. I’ve been using this online coaching platform (affiliate) to for coaching my VIP clients since 2014 and added my group coaching clients in late 2016. Disclaimer: This post is sponsored by my friends at Trainerize, although I have been using this platform personally in my business for over a year. Thank you for allowing me to continue creating great content for you by supporting partnerships with brands I love. As always, opinions are 100% my own! You can read my disclosure policy here. Based on my experience using Trainerize for the past few years, today I’m going to share the pros and cons for both trainers and clients. I also use it as a client with my own online trainer, so I’ve been able to experience both sides of the platform personally. By using a tool like Trainerize, you can work with clients anywhere in the world. You don’t need to be in the same location to deliver quality workouts, with queuing guidance throughout the workout, and tracking of the workout details. My mission is to help others transform their lives through fitness – this helps me expand my impact globally! Within each client account, I create a training plan for each block of workouts. You select an exercise from the library of exercises and drag it to the workout you are creating. Once you have the exercise added to the workout, you can specify sets & reps, add notes, & create supersets. If you have specific guidance on an exercise (i.e. : drop sets, tempo), you have to use the rep notes or overall workout description to communicate those details. Trainerize comes with a library of exercise with pre-filmed videos that you can use. You can also link your own YouTube videos and search YouTube videos to help find exercises that haven’t been filmed yet. On each video, you can add your own notes that your clients will see when viewing the exercise, which is a great place to outline queuing notes. 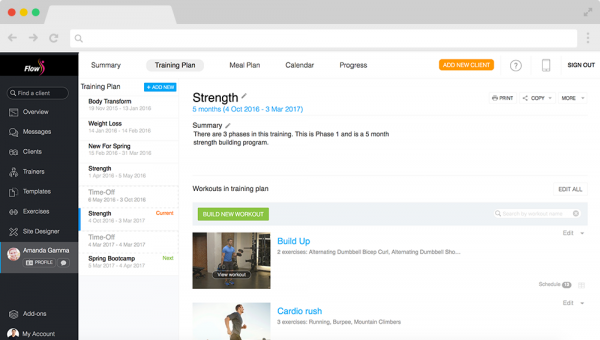 You can schedule training plans directly onto your clients’ calendar within Trainerize. This will give specific guidance regarding which workout you want them to do on each day. You can also add progressions (different sets & reps) to the training plan, to progress the plan across the scheduled weeks. 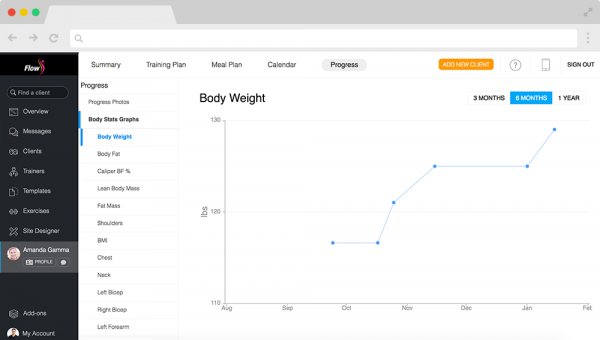 You will be able to monitor the workouts that they complete, their recorded stats (like actual sets, reps, weights), and monitor their progress using graphs within the tool. To progress a training plan, you are limited to simple adjustments (sets & reps). Ideally, I would like an easy way to swap an exercise as part of the progressions. If you are created programs for a group, I have found that using a “dummy client” is the easiest workflow for my needs. I create a training plan for the group goal, schedule onto the dummy calendar. It would be great to be able to save training plans (with a group of workouts) in the library, instead of having to save these on a dummy client. The Trainerize tool works best for strength training workouts. I find the functionality a little lacking when it comes to cardio or endurance workouts. You can write structured cardio workouts in the workout description as a workaround, but I use a different platform for my endurance coaching clients. This is the flip-side of the first benefit I listed above. Using a tool like Trainerize, allows you to work with your choice of trainer anywhere in the world. You don’t have to settle for the best trainer at your gym – your trainer could be around the world or across the country. As a client, the app on my phone is a key benefit. When I get to the gym, I open the app and the workout my trainer has planned is right on my calendar. All I have to do is click “Track” and the app guides me through the workout, including the video if I’m unfamiliar with an exercise. It’s very important to me to track the weights I lift, so that I don’t have to spend the first few sets finding the appropriate weight for the exercise. With the app, I record the actual reps and weights I complete as I go – and I can see the previous reps and weights. If you have a question for your trainer, there is a communication option directly in the app. The messaging is all within the app, so you don’t need to send a separate email or text message – it’s very convenient. One way to confirm that you are progressing is to see your progress on key lifts and body stats. Since you are tracking your workout details in the app, you can also access graphs to see your progress with exercises. You can also track your body stats within the app and see a graph of that progress. It can be very motivating to see how far you’ve progressed over time! Currently, there is no way to save notes to yourself on an exercise that you can see in future workouts. This has been a feature that a few of my clients have requested recently. 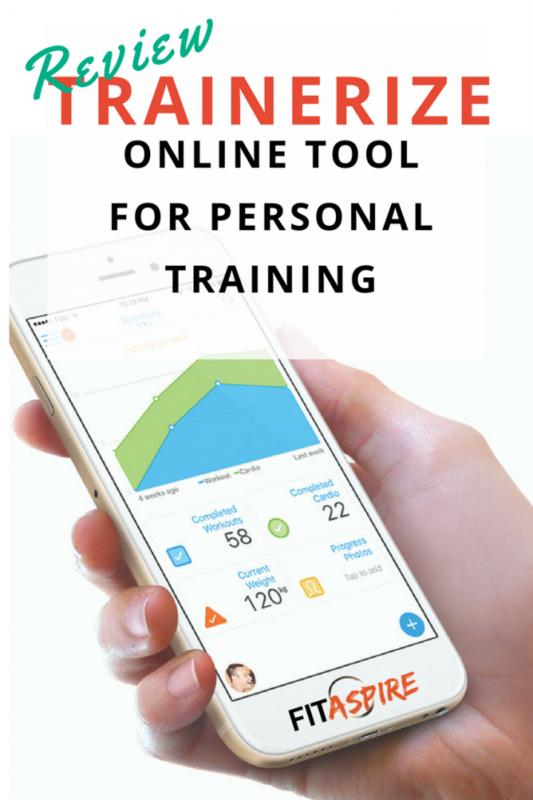 Overall, I think this is the best platform for personal training available. I have used it with my clients for over 2 years at this point and the benefits far outweigh the negatives. My ideal situation would be to find a platform that works well for both endurance training and personal training, but I don’t think that’s an issue for most coaches. If you are looking for a way to streamline your online training process, I would highly recommend trying Trainerize for yourself. You can use my link to register for a 30-day free trial and see how it works for your business. In my online personal training programs, I use Trainerize with all my clients to help make tracking your workouts easy. This is just one of the ways that we help you reach your goals of fat loss, muscle gain, or improving your health with expert-designed workouts. To find out if VIP Coaching or Group Coaching is right for you, schedule a free call here. « Do Essential Oils Really Work?